“Living Water” is a term often used of flowing water, like rivers and streams, as opposed to the “still” water of lakes and ponds. 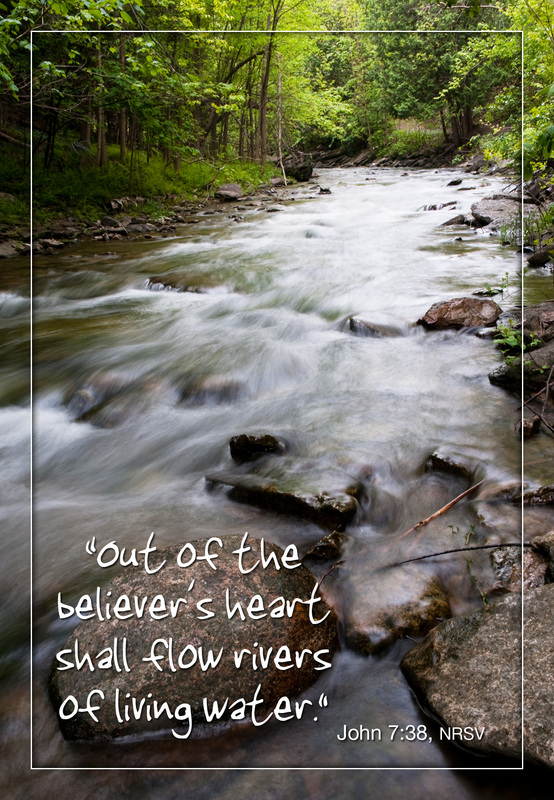 Do you have a favorite river or stream? If so, why is it your favorite? In what ways is the Holy Spirit like “living water”? How does the Holy Spirit work through you? Each day, intentionally give of yourself to someone you encounter, in the name of Jesus. A few ideas: pay for someone’s meal or groceries; help someone with a task or project; donate to a Christian organization that helps the poor, the persecuted, or the refugee.